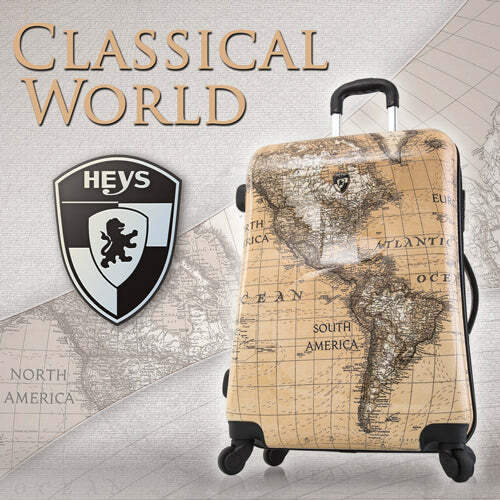 In the spirit of world travel and exploration, the Classical World Map print adds a whole new dimension to your luggage. 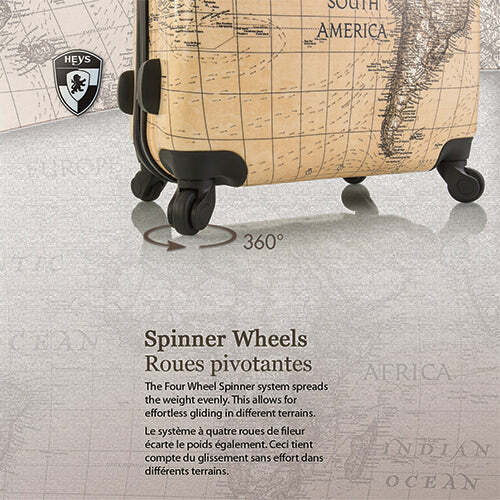 In the 3pc set, all 3 sizes have been designed to showcase different parts of the world and when put side by side, the entire set combines to form the entire world map. The prints are protected by a layer of glossy clear coat which gives it its brilliant shine as well as improved scratch and scuff protection. 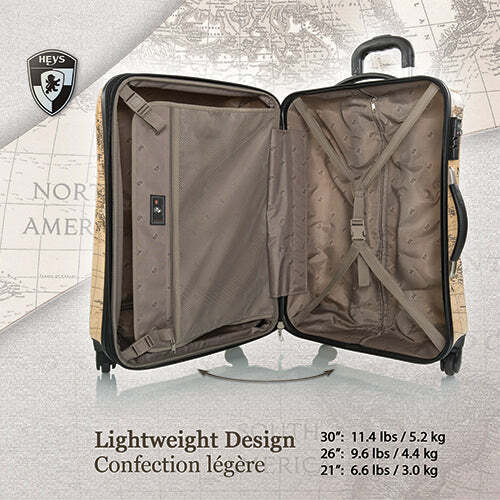 To provide more protection, a travel bag is included to keep it looking like new for many more journeys to come. 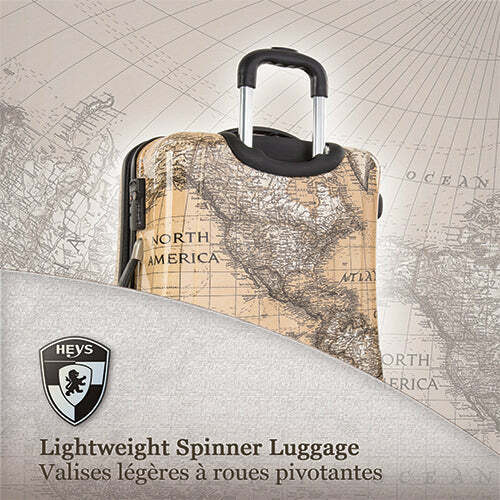 As with all Heys luggage, the Classic World 21" Carry-on is incredibly lightweight, and feels even lighter when you roll it on its ultra-smooth Japanese made spinner wheels. 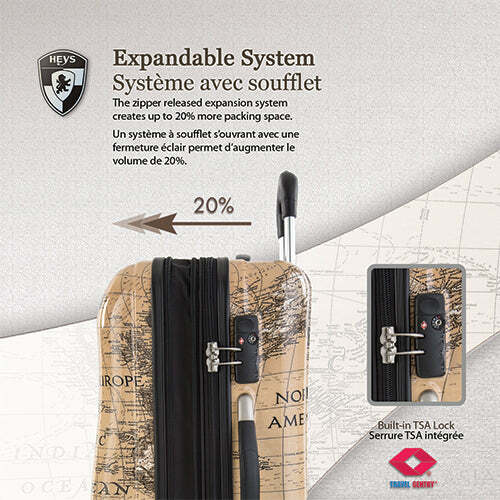 The case has a built-in TSA lock that is fixed to the body of the luggage. When opened, the Classical World Carry-on will reveal its inner beauty with a specially lined interior and built-in divider with mesh pocket.